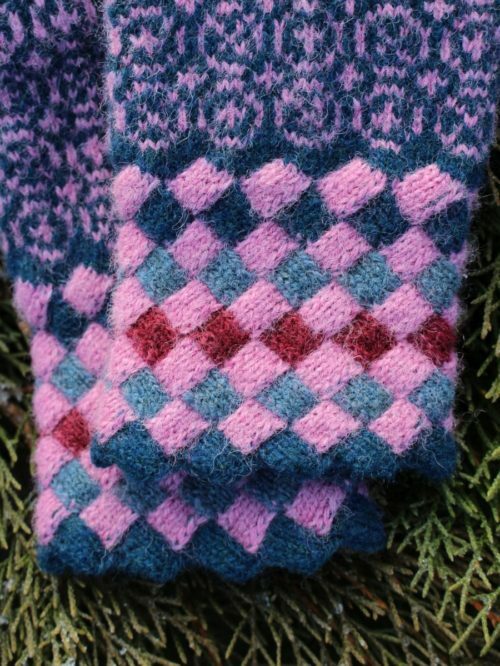 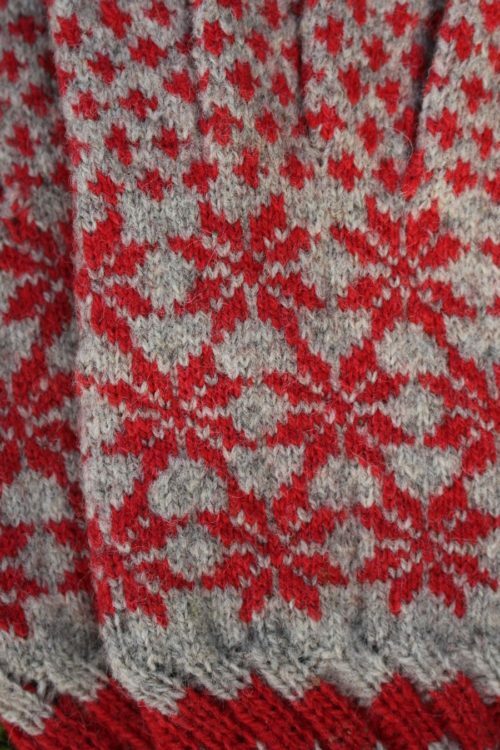 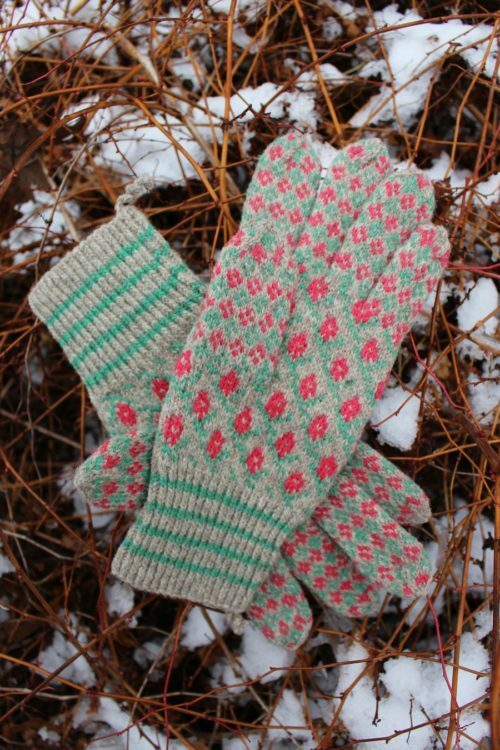 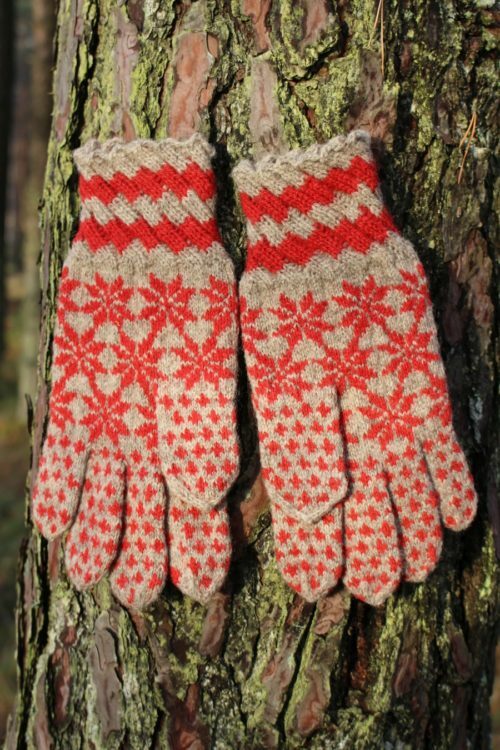 Knitted mostly with three colored yarn in traditional Estonian fair-isle style. 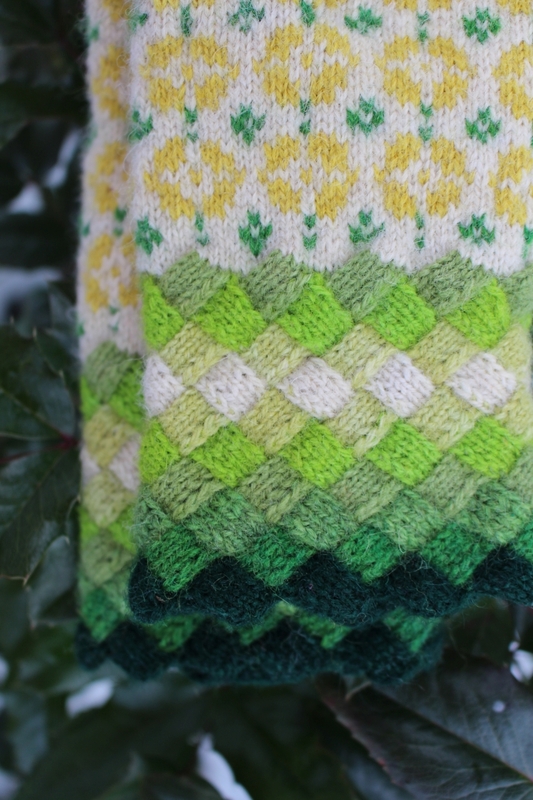 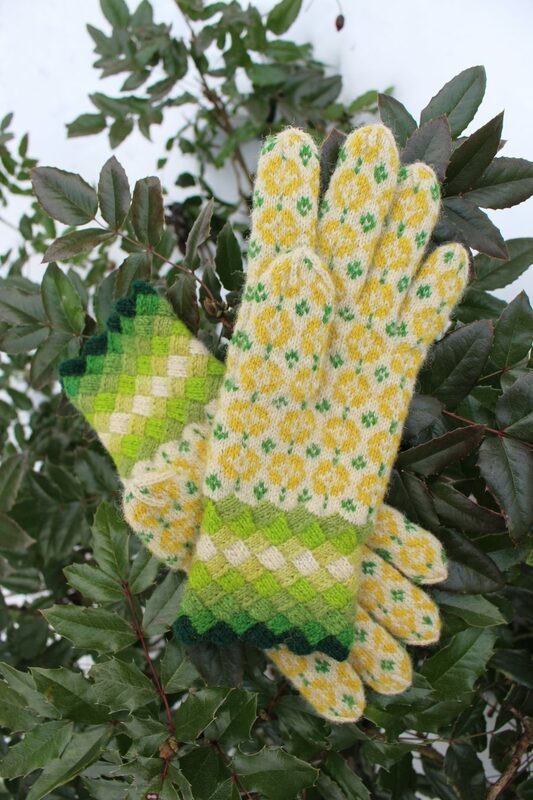 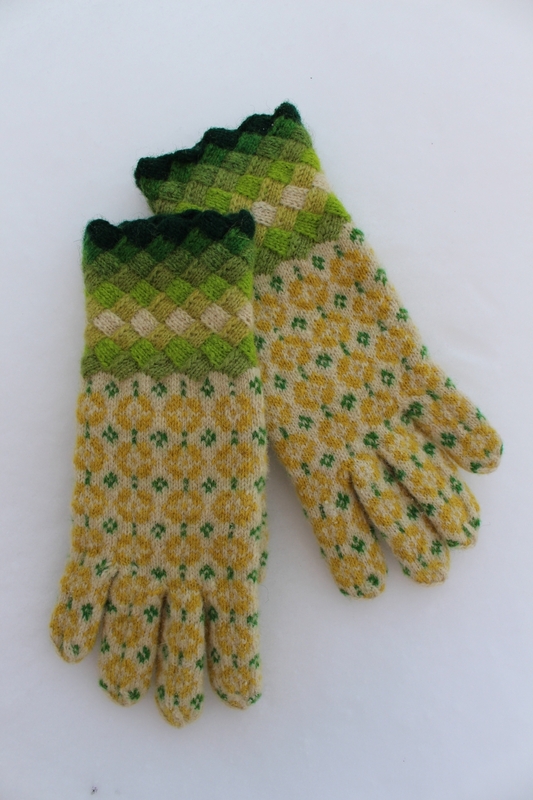 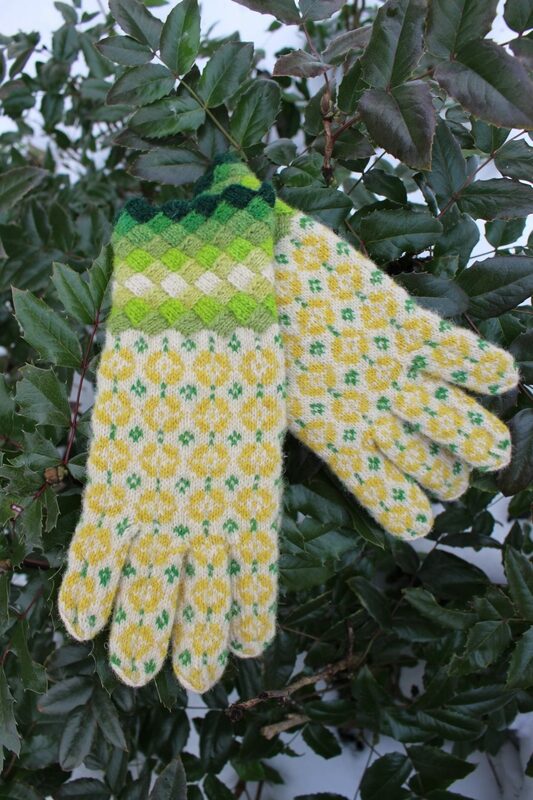 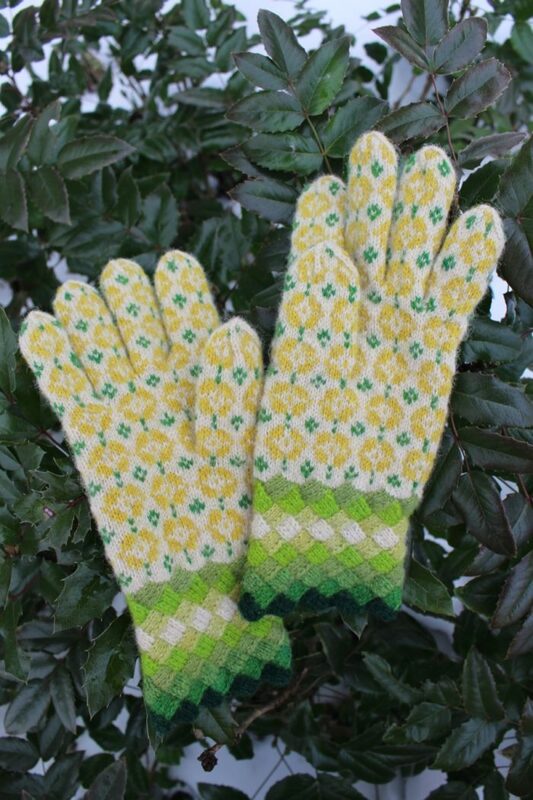 The wrists are knitted in the entrelac technique using matching shades and lots of green. 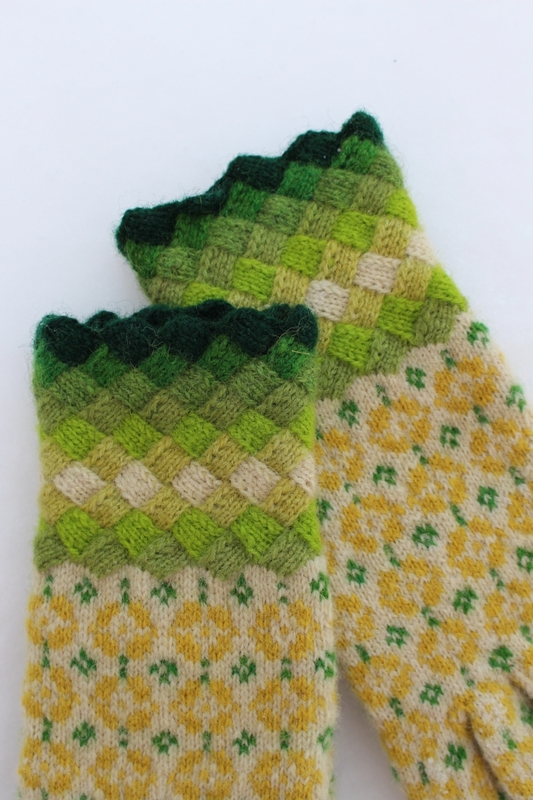 The pattern comes from Paistu area in historic Mulgi Region, nowadays Viljandi County. 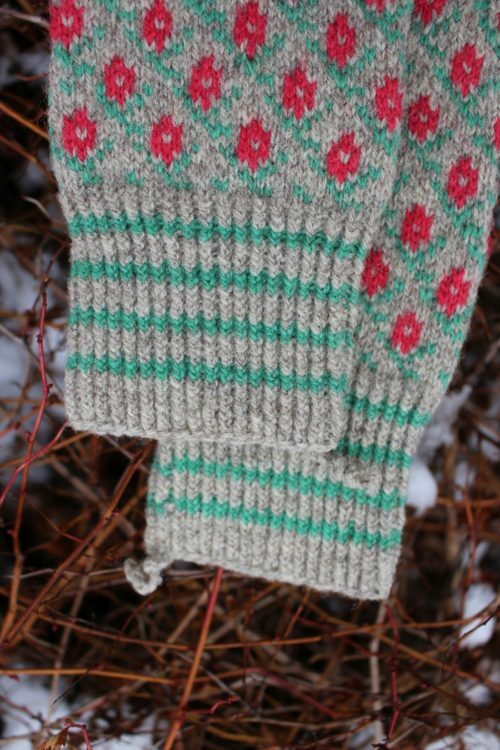 It is called a Strawberry Bloom Pattern. 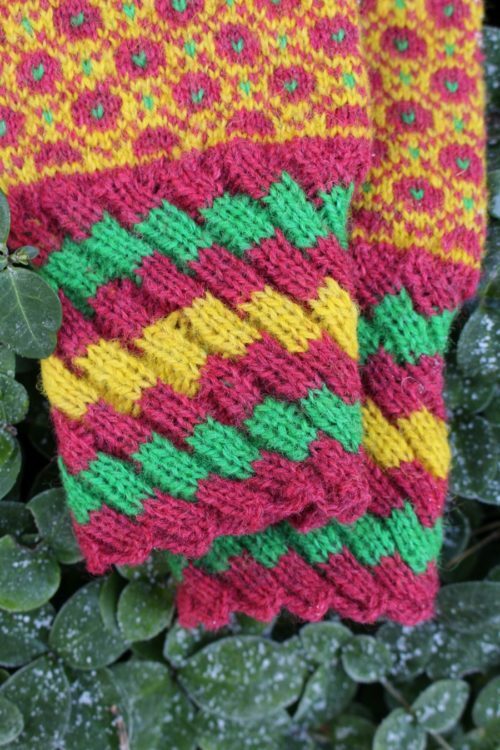 Tightly knitted using 0-size needles and DK weight yarn. 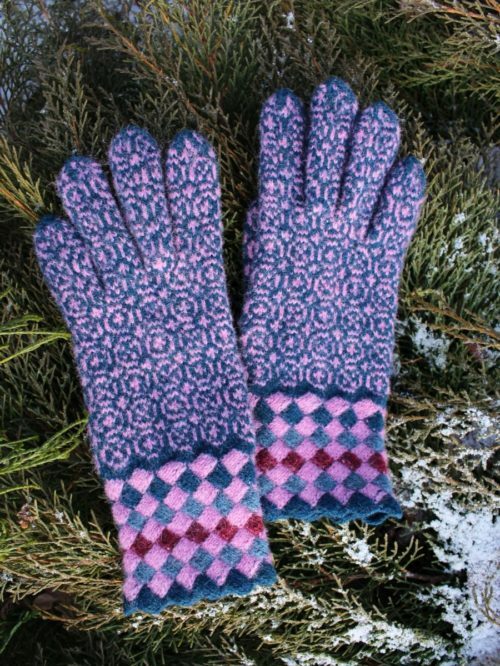 The yarns are hand dyed, 100% wool from Estonia. 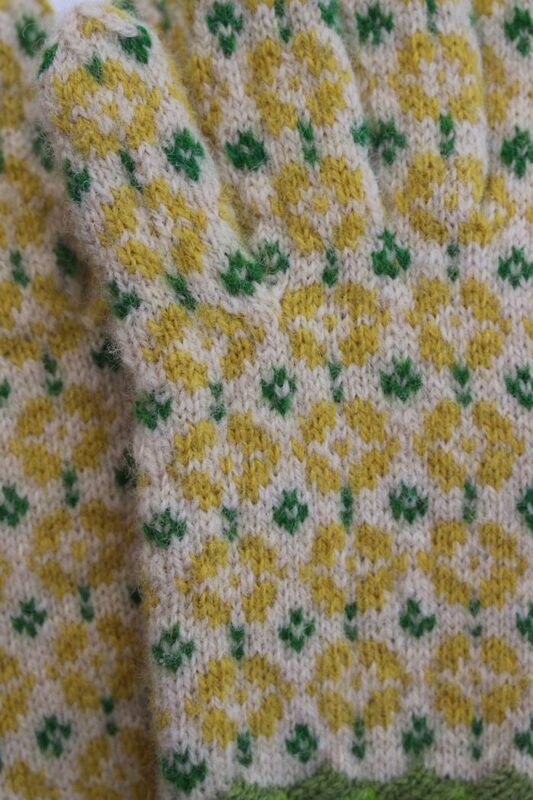 The background off-white is natural sheep color. 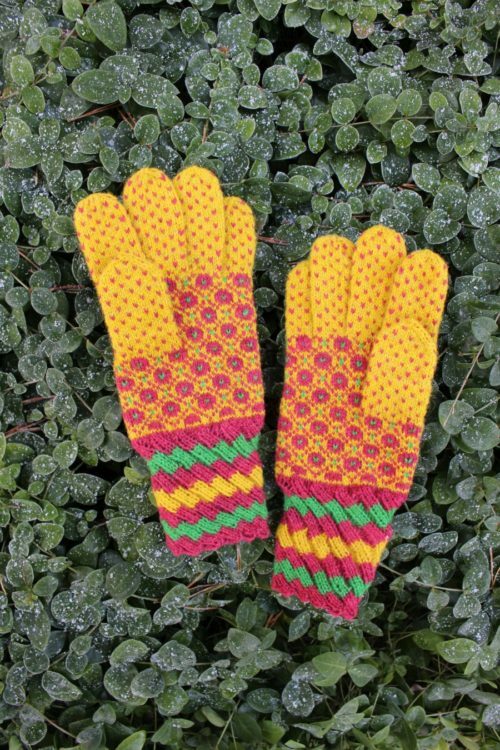 They are perfect to block wind and wear in winter.